Welcome to Issue #43 of the Bootleggers Buzz! A boring week with no impressive shootings and no new State Don. Nevertheless, the Buzz was able to write some amazing articles for you. Most articles are covering the updates of this week. This week the Gymnasium feature and the CAPTCHA’s changed, which caused several discussions in the Game Forum. Those two matters weren’t the only updates of this week. From now on everyone who promotes gets a fancy little reward. Not a big deal, but definitely worth an article. We didn’t cover every update, but you can read everything at the Updates page for more information about the latest updates. So what else do we have for you in this Issue? We have a little update for you about the bullet factory in Illinois and Pennsylvania. Both bullet factories belong to Event Horizon, but at this moment they aren’t holding them nor their allies. The Buzz contacted all the involved persons for you. We also have a column of our new writer, Datsyuk, about leading an Organized Crime. That was all? Not exactly, because we have also some weekly articles such as Behind The Name and Back In The Days, which is a new weekly article. Last but not least we have a special announcement this week. 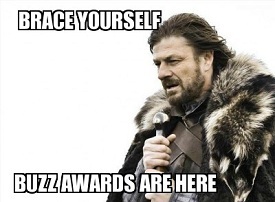 The Buzz Awards 2012 officially started and it’s your job to vote for your favourite Bootleggers players! When you vote you can win a nice amount of money and if you manage to win a Buzz Award you might even win more dollars! Read the article about this event for more information. That’s all for this week. Enjoy the read and have a good Sunday! 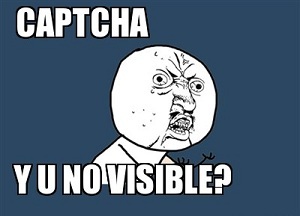 A new update has arrived; CAPTCHA! Who's the rightful owner of Illinois and Pennsylvania Bullet Factory? This week a new feature got released; Promotion Rewards. A new weekly article; back in the days! A column about leading an Organized Crime. This week's victims; BifreGoon and Safi! Where are the dead people?! The weekly comic of Ratty!